At The Bellon Law Group, our attorneys understand that each client is a real person who comes to us for help with a serious problem. It might be a criminal arrest that could result in imprisonment. It could be a divorce that threatens the client's access to children and financial security. Sometimes it's a serious accident that presents immediate medical bills and long-term doubts about earning capacity and future treatment needs. No matter what your legal problem involves, you can count on our attorneys for professional and personal counsel that can help you get through it, often on better terms than you would have dared to hope for. We know that you're going through what might be the most difficult time of your life, and we're ready to help you meet and overcome the challenge. Contact us in St. Charles to learn how you can benefit from our experience and our client service values. We believe that our experience both as former Assistant Prosecuting Attorneys and private practitioners helps our clients resolve adversarial situations both through the litigation process and through focused negotiation. We try to keep the personal and emotional stress of your situation from interfering with your ability to make effective decisions for yourself. We find that many clients find confidence and strength in being able to reach us when they need us and in our honest and practical advice. Our goal is to provide attentive, dependable and ethical counsel to our clients in St. Charles, St. Louis and the surrounding communities. 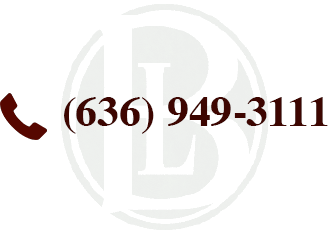 Douglas Bellon focuses mainly on family law, estate planning, Missouri probate and personal injury. In 2009 he was elected President of the St. Charles County Bar Association. Both lawyers have at least 15 years of trial experience. For additional information about our practice and our experience, contact our office in St. Charles for a consultation.